MUKHY SHIXAK NI (HTAT) NI JAGYA RAD KARVA BABAT NIYAMAK NO LATEST PARIPATRA DATE:-31/05/2018. Result Availabel at 31-5-2018. 8:00 AM. GSEB HSC Result 2018 is announcing soon in the 4th week of May 2018. Gujarat Secondary and Higher Education Board (GSEB) is the main authority to regulate and control the 10th & 12th examination in the state of Gujarat. The board was founded on 1st May 1960. The headquarter of Gujarat Board is located in Gandhi Nagar, Gujarat. The GSEB board is responsible to organize and declare the result for matric & intermediate exams. Students can get here the complete information about Gujarat Board 10th result 2018. Every year, Lacs of student appear in the Gujarat HSC examination. The board will release the GSEB HSC result 2018 through online mode. Students those will appear in the 12th board examination can check the result after two months of the examination. GSEB 12th result 2018 can be checked by entering the exam roll number which will be of seven digits. The students are advised to take the printout of the result and keep it secure. The board organized the 10th exam in the month of March 2018. The link for checking the Gujarat HSC result 2018 will be given in our article after it will be announced by the board. Student can also derectly get result on their mobile phones by sms. Just type “HSCseat number” send it to 50111.
you can also call on a toll free number 1800 233 5500 to know your exam result. you will be able to check result 2018 name wise on this GIPL website. PRAVESHOTSAV- 2018 BABAT MAHTVAPURN PARIPATRA DATE- 30-5-2018. RAMANI'S CURRENT AFFAIRS & GK PDF DATE:-29/05/2018 FOR ALL COMPETITIVE EXAMS. 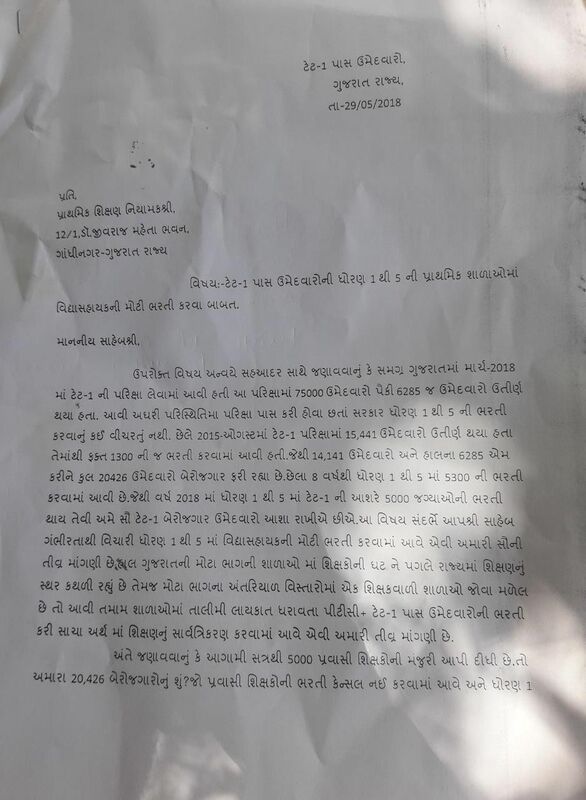 SSA ANVAYE KAM KARTA BRP NI JILLA FERBADLI BABAT CIRCULAR BY SSA. Paper 1: Gujarat Language for 75 Marks Which is Objective Type Includes Grammar, Verbal Ability, Vocabulary, Comprehension Etc. Paper2: English Language for 75 Marks, It Includes Question Based on Vocabulary, English Grammar, Comprehension, Idioms Etc. Paper 4: Is General Laws for 100 Marks ,Question Based on Constitution of India, Criminal Procedure Code 1973, Indian Penal Code 1860,Evidence act 1872, Gujarta Police act 1951,Gujarat Prohibition act 1949,Prevention Corruption act 1988,SC&Amp;ST act 1989,Motor Vehicle Act 1988.
punished by the police. Police is responsible for the safety of our lives and property. Therefore, the role of a police officer is the significant. He acts as a liberator of the society. Laws are needed in all the countries. The laws help in maintaining peace. Therefore, the law must be observed by all citizens. But there are some elements in every society who do not pay any attention to the laws of the land. A police officer is generally a man of good health. He wears a khaki uniform and carry a cane in hand. He ties a belt around his waist and wears only a shirt and pants. The officers of each state of India could be distinguished due to their different official symbols. He even works during the winter nights. 1.He performs multiple duties. It also settles disputes among various communities. 2.He protects the sanctity of religious processions and keeps the troublemakers away. 3.He is an enemy to all those people who indulge in riots or thefts. He is the protector of the poor and vulnerable. The policemen gets poor salary, their standard of living is low. He has to support his family with that income. STD. 1 TO 5 MA TET-1 PASS UMEDVARO NI BHARATI KARVA BABAT RAJUAAT. Read today's Gujarat world central government latest important news report. Now You Can Read All Indian Newspaper just in one click. All Indian Newspapers are arranged here for you.Just click a state to read it's Newspaper in below given Map of India. We provide free online newspapers links to all Indian language newspapers without downloading their fonts including all regional newspapers of India in languages like , Hindi,Gujarati and English, etc. Daily evening newspaper published in Rajkot, Gujarat. 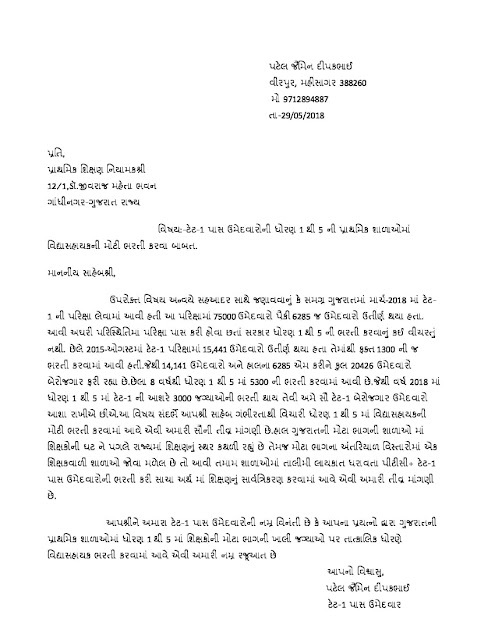 Gujarati language newspaper published in Lokhit Prakashan Sarvajanik Trust. Gujarati language newspaper published in North America. Gujarati language newspaper published in Rajkot, Saurashtra, Gujarat. Sandesh is a leading daily newspaper in Gujarat. is a leading daily newspaper in Gujarat . GSRTC CONDUCTOR MODEL PAPER 4 & 5 By AKPARMAR. We also provide information about Talati Junior clerk Senior Clerk SSC GSSEB etc related information and its related material and old paper and model paper. The Class 10th CBSE 2018 results will be declared on 29 May, Tuesday. The examinations for 2018 CBSE Class 10 was held from 5 March to 4 April. Conducted by the Central Board of Secondary Education (CBSE), the results were earlier slated to be announced on 31 May but have now been scheduled for an earlier date. The results are now being released at 4 pm on 29 May. Candidates will be able to check their results on the official website of the Board: cbse.nic.in. Step 1: Visit the board’s official website: cbse.nic.in. Step 2: Click on the ‘Central Board of Secondary Education CBSE Class 10th Result 2018’ option in the ‘Recent Announcements’ section. Step 3: Enter details such as roll number and press ‘submit’ to access results. Step 4: Check results, download and take a printout. This year, 16,38,428 students appeared for the Class 10th Board examinations. The announcement for the Class 10th CBSE 2018 results comes two days after the release of the Class 12th CBSE 2018 results. Girls fared better than boys in the Class 12 examinations conducted across the country by the Board. While the pass percentage of girls was 88.31 per cent, that of the boys was way below at 78.99 per cent. There was a huge gap of almost 10 per cent between the two. The overall pass percentage was 83.01. Of particular note was the very high percentage of marks scored by the topper. The topper of the CBSE Class 12th results 2018 is Meghna Srivastava from Ghaziabad who scored 99.8 per cent. A student of Humanities, she secured 499 out of 500 in the examination. The only subject she didn’t score a 100 out of 100 marks is English. Assistant Social Welfare Officer Paper Solution. Assistant Social Welfare Officer Answer Key – Paper Solution: Gujarat Gaun Seva Pasandgi Mandal (GSSSB) Assistant Social Welfare Officer – Class III Question Paper (27-05-2018) is now available on our website , Check below for more details. 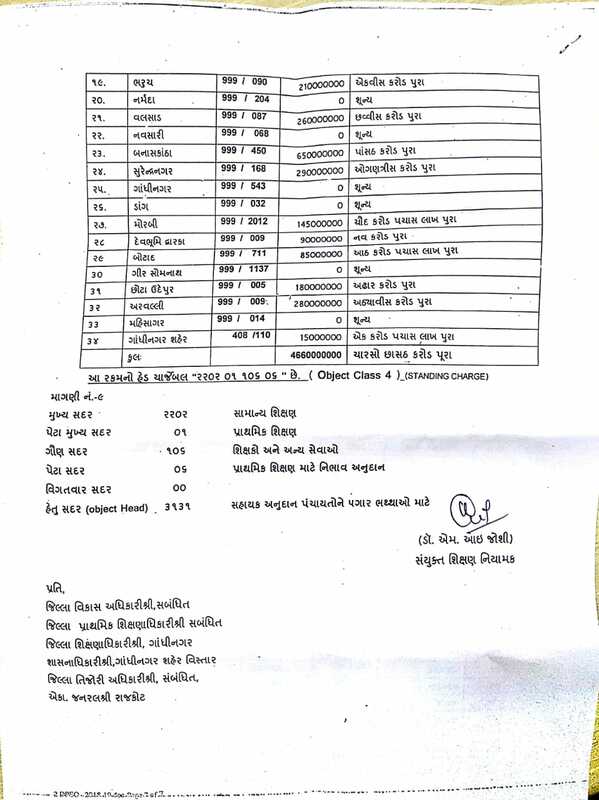 Gujarat Board 10th Results Name wise, School wise to be declared at www.gseb.org. Gujarat State Education Board is released the Gujarat Board SSC Result 2018 on its official website soon. The GSEB class 10th Results 2018 will be announced in the month of May. The State Board has conducted the Gujarat Class 10th Board Exam 2018 in the month of March 2018. A huge no of students each year participates in the GSEB 10th board exam and this year the number is expected to be the same. All the aspirants appearing in the GSEB Matric exams are eagerly waiting for the announcement of Gujarat Board SSC exam result 2018 while raising their curiosity and excitements. Here on our website we also provide you the web link to download board exam results. Gujarat Board is tentatively going to publish the Gujarat Board 10th Result 2018 on May. Students of GSEB Board SSC class will be able to check results from online websites. Gujarat State Education Board (GSEB) has conducted the Class 10th examination in the state of Gujarat. The organisation will probably declare GSEB SSC Result soon on its official website. The secondary class results will be available within the 1 – 2 months following the completion of the final annual examination. The students have appeared in the class 10th Matric board examination via Gujarat board of education will be able to test their GSEB 10th exam results 2018 from the state website by entering the roll number and date of birth. Students can check their GSEB class 10th Result 2018 roll no. wise and name wise with the help of Hall Ticket/Admit Card. Gujarat Board SSC Results Online at gseb.org The Gujarat state education Board class 10th examination will begin from 12th March 2018 and will over in last week of March 2018. After the successful completion of exam 2018, the board will start its preparation for publication of Gujarat class 10th Result 2018. BREAKING NEWS:- STD.10 SSC EXAM RESULT DECLARED. (1) ENTER YOUR SEAT NO. (2) AND PRESS "GO" BUTTON. STEPS TO KNOW RESULT (1) ENTER YOUR SEAT NO. (2) AND PRESS "GO" BUTTON. Download Weekly Current Affairs Date:-19/5/2018 To 25/05/2018 PDF FILE By Edusafar. Primary, Secondary and Higher Secondary Department. we also uploads various Job Updates of various government &amp; Non-Government Sector from all over India. 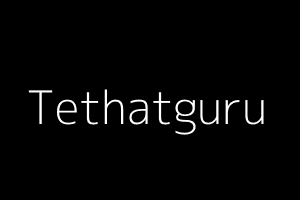 This blog is daily update about primary school latest circular , Educational news paper news, Breaking news , all Government and private job ,Letest Techno tips, Insurance, Loans , Letest Mobile tips and all Competitive exam most imp gk, model paper, exam old paper, model paper in mp3 and most imp gk mp3 exam materials... Like Tet,Tat,Htat,Police constable bharti, Gsssb Clerk, Talati, and other exams..
www.kjparmar.in, in This blog You Can find Lots of Study Materials for All Competitive Exams Preaparation Like Tet,Tat,Htat,Gsssb Police Constable,Talati,junior clerk Exams This Education News Cutting From Gujarat Various Popular Newspaper Like Navgujarat Samay,Divya Bhaskar, Sandesh, Gujarat Samachar, Akila News And Many Other Newspaper. Download Weekly Current Affairs Date:-19/5/2018 To 25/05/2018 Video FILE By Edusafar. BREAKING NEWS :- GSRTC CONDUCTOR AND DRIVER EXAM CANDIDATES SELECTION LIST DECLARED. Download Ojas GSRTC Gujarat Merit List pdf, GSRTC Conductor Exam Result, Here we Published the details about selection list of all those candidates who qualified for the next round in this written test. Get ready to check your GSRTC Conductor Result 2018 here and download the Merit List for the Conductor and Driver exams. Gujarat State Road Transport Corporation has carried out the written exam in 2018 and is now about to publish the results on the main website. Kindly, respond to examination overview and go through the details that are noteworthy regarding OJAS GSRTC Conductor Merit List. A large number of job seeking aspirants had applied and attended the exam reportedly. 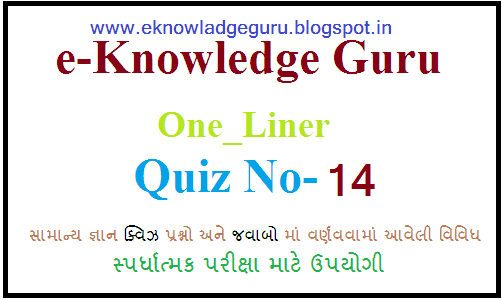 The exam was of 12th level and was an objective type in nature conducted via the offline mode. All the eyes are set to the internet portals as the corporation is going to notify the general public through the internet media only regarding GSRTC Conductor Result. BREAKING NEWS:- GSRTC CONDUCTER & DRIVER CATEGORY WISE CUT OFF MARK DECLARED. BREAKING NEWS:- GSRTC CONDUCTER & DRIVER HALL TICKET DECLARED. GSRTC Conductor 2018 Call Letter available. Gujarat State Road Transport Corporation (GSRTC) is going to shortly issue GSRTC Conductor Admit Card 2018. All the candidates willing to write GSRTC Conductor Exam should download Conductor GSRTC Hall Ticket before the Exam Date itself. However, a direct link to download Gujarat State Road Transport Corporation Conductor Admit Card is present in the later modules of the article. Visit the official website of GSRTC i.e. www.gsrtc.in for more details related to Gujarat State RTC Conductor 2018 Admit Card. Scroll down the page till last so that you can know Test Pattern, Exam date, every minute detail related to Conductor GSRTC Call Letter. 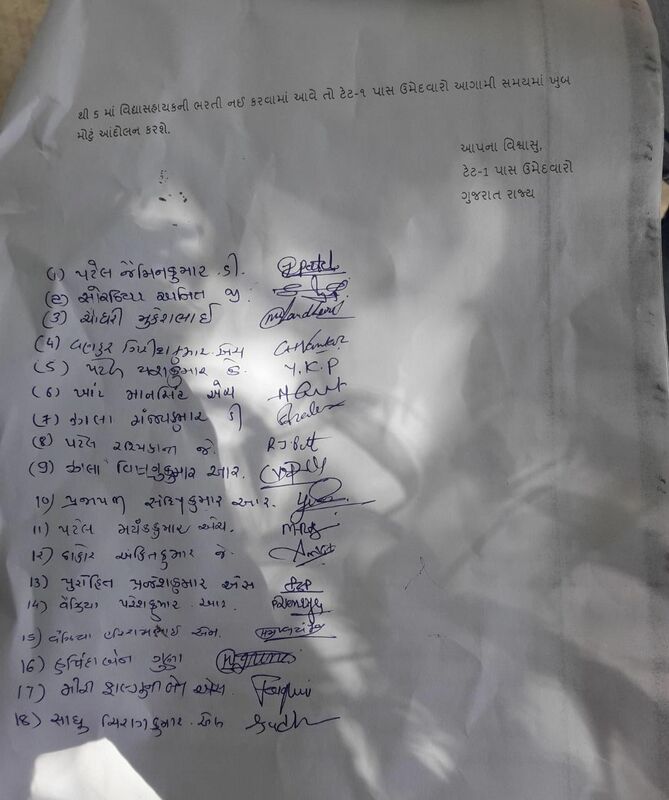 Gujarat Secondary & Higher Secondary Education Board is defending all students for their performance with declaration of GSEB 12th Result 2018. This is exact form where you are going to achieve score card declaration updates. We will be ensure with you about its declaration day after decide officially. One side they became successful by organize state board examination from 12th to 29th March 2018 and other side they also looking to ensure score card declaration on time. In available manner examination are hold but time is coming for score card declaration. They all who faced with better performance this examination should be happy after seen their scores. Gujarat Board 12th Result 2018 date will be updating here in coming alerts so don’t forget to have look back to back on here. They all who faced state board examination is feeling relaxed because as needed preparation level they has done but for now should likely assuring to see their scores. This is important fraction should be detailed you whenever board secretory give possible words for that. 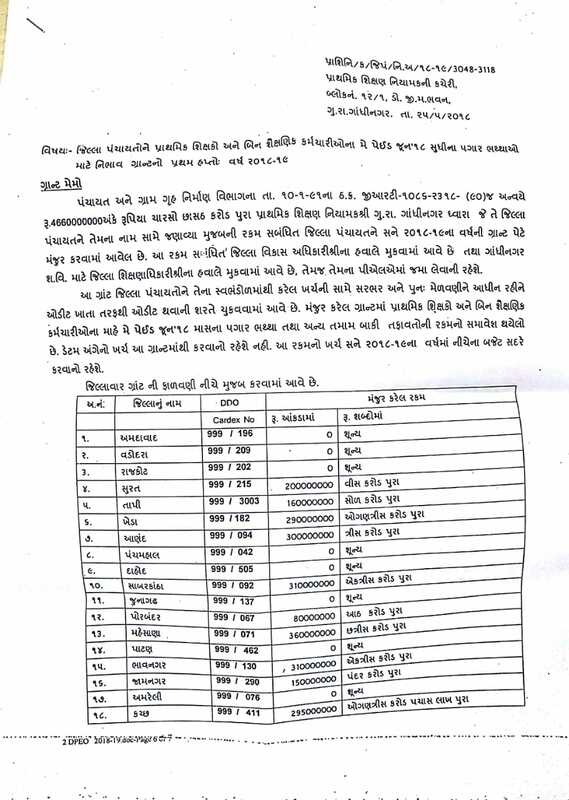 You might have seen about HSC Result 2018 Gujarat Board. You have to be better known about examination roll number or name details to persist this mea declaration on time. This is clear task we likely suggesting with everyone to ensure that score card declaration comes closer after one and half month from complete of annual exams. They work to complete answer sheet measurement task as soon as possible. For that order it is important fraction to be ensure that Gujarat HSC Result 2018 General Stream on time. In available search comes superiorly on declaration day so keep patience because officially this one is not detailed yet. They work to prepare all students’ scores for now after that should upload it to their portal is gseb.org. All appeared students are required to click on below link to get direct attachment with score card location. Here Is An important 20 questions PDF file for All Exams candidates. In this File you will find important 20 questions related You can also download other study material from our site.